First Trip Abroad for this Family of Six – We LOVE London!!!! My husband and I have four kids ages 18, 14, 10, and 8.5 years. We enjoy traveling with them more than anything else often visiting family and friends, big cities, national parks, and camping. On a less than Spring-like March day earlier this year, we found fun in looking into a ‘big’ family summer trip, inspired by our oldest daughter soon to graduate high school and go off to college in the Fall. This year, we thought could be the year we travel to Europe! We had passports for all the kids from road tripping a couple years prior to Niagara Falls. My husband and I hadn’t been overseas since before having kids. We knew we loved exploring and the rich history of Europe. We thought the kids were at a good age to take in the historical stories and be able to walk a lot, all day every day. London rose to the top of our destination picks and seemed a great first family leap ‘over the pond’ – same national language (with a lovely accent), the setting of the Harry Potter series (we are huge fans), and buzz of the Royal Wedding. To top it off, we found incredibly cheap airfare from Chicago to London for $125/person on Norwegian Airlines. Unheard of, I know! We did travel with backpacks and no checked bags, avoiding any extra charges. It was easier than you’d think and I’d highly recommend. With the trip a ‘’go’, we celebrated with a family movie night re-watching National Lampoon’s European Vacation. I made a mental note to temper the Sparky (Chevy Chase’s character) in me who tries to fit too much in the Griswold family trip and suffers the self-induced stress of wanting the experience to be just right. I decided to apply what a dear friend so wisely stated, “it will be a good time or a good story”. I think it can be both too but it’s freeing to think about how the mishaps often make for laughs and fun memories too, especially when traveling. Once we locked in our airfare I took on the mission of finding lodging. 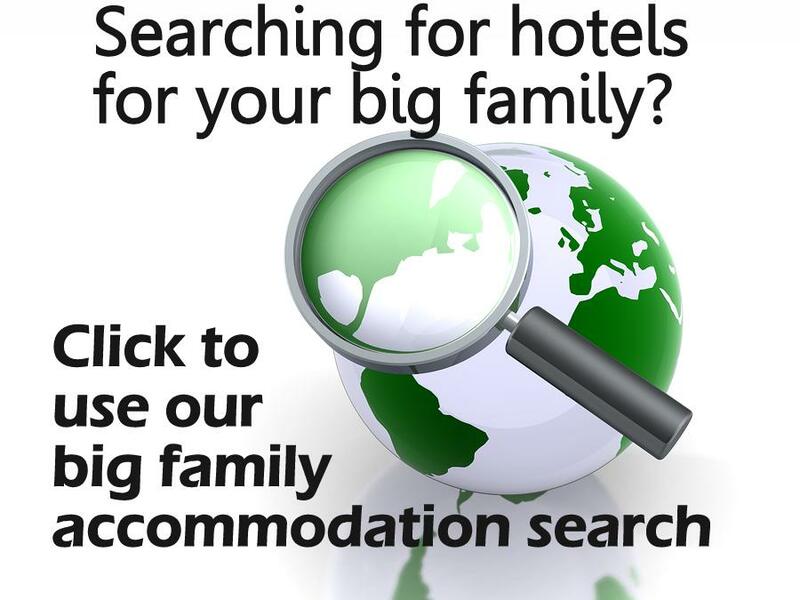 As in many places, I could not find any hotels in London with family suites, or at least in the price range we were searching. We’d had great experiences with Airbnb and VRBO previously here in the US. We enjoy the chance to live like a local in a real home. The new added challenge to finding an Airbnb in London was that we did not know our way around the city nor did we know the neighborhoods. My teen daughter & I had fun reading through all the listings for apartments that sleep at least six with a kitchenette. For each possibility, we compared location in relation to the heart of London, access to public transit, and anything else we could learn about that area of the city. We decided on an apartment in Greater London blocks from a main transit station with multiple rail lines into areas of London most with rides of 15-25 minutes. The neighborhood and station share the same name – Stratford. It’s just east of London and home to many of the venues of the 2012 London Summer Olympics. Tuesday – Arrive late morning, set up our home base in Stratford with groceries, stretch our legs in Queen Elizabeth Olympic Park. Wednesday – Take the train north of London to Bedfordshire to visit friends and Wrest Park (a restored 1830’s estate now a museum), dinner at an old English Pub. Thursday – Big Ben, Buckingham Palace Changing of the Guard, Hyde Park and Kensington Gardens and Palace, ride a double-decker red bus, tour Tower of London fortress. Friday – Camden Market, Trafalgar Square, ride #15 city bus from the square for a fun and cheap North Bank tour. Saturday – Walk the South Bank path along the river, dinner at the Swan Restaurant before seeing ‘As You Like It’ at Shakespeare’s Globe Theater. Sunday – Laundry and leave for Paris in the early afternoon. Notify our credit card company we’ll be traveling overseas. Contact AT&T to set up international calling in case we need but waited on turning on the $10/day per phone option. We decided we’d keep our phones on airplane mode and use wifi for the trip. Print maps of London, the tube system, and screenshot the iPhone map transit directions from Gatwick to our Airbnb. We set off Memorial Day Monday evening from Chicago and arrived mid-morning Tuesday at Gatwick Airport the next day. At the airport you can buy an ‘Oyster’ card you can preload with funds to ride public transport (the best way to get around London!) with discounted fares on the trains and the awesome double-decker red buses. And yes, those are the regular city buses, so fun! We got four Oyster cards for me, husband, 18-year-old daughter, and 14-year-old daughter and loaded the cards with 20 pounds each. Kids under 11 travel free with an adult using an Oyster card, the adult and child enter through the stroller/accessible entrance turnstile with using the adult card. Fun fact – the public transit card is named ‘Oyster Card’ in homage to Shakespeare’s well-known travel idiom “The world is your oyster”. We agree! We rode the Thameslink National Rail train from Gatwick Airport to London, about a 30 min ride, using our Oyster cards. The Thameslink had wifi, was roomy and air-conditioned. Once in the London Bridge Station we asked a Tube Station staff member to reset my 14-year-old daughter’s Oyster card to a Youth Visitor fare card – we read about such in a travel guide so her fares would be only half the discounted adult fare. Every penny/pence counts! Then we were on to Stratford. We were pretty hungry once we arrived and I was thrilled to learn there was a Sainsbury grocery market across the street from the Stratford Station as well as a Tesco Express right on the same corner as our Airbnb. I had learned from friends those are local grocery chains with good selections and value. When traveling we like to pick up supplies for breakfast at home and pack snacks for our adventuring. Grocery shopping in another country is a different experience than at home – something about the different/same offerings, how the prices vary, and solving the puzzle of the least amount of groceries we can buy to get everyone through a few days – all that somehow makes it a bit more fun. Our Airbnb was a nice clean and modern apartment with 3 bedrooms, two bathrooms, a full kitchen, living room, and a washer/dryer. It also had a balcony with a great view overlooking the Olympic Park. We settled into our new home base, walked around the Olympic Park, watched Britain’s Got Talent and called it a night. Well-rested and ready to go we set off Wednesday morning to visit our friends living near Bedfordshire. We spent the day with them at their home, then touring the nearby Wrest Park (a beautiful country estate and gardens – a great space to walk and talk), driving on winding hilly skinny country roads, and topping off the day together with dinner at their favorite old English Pub. On train route home through Kings Cross Station we snapped some pictures but opted not to wait in the long line to get a picture pretending to push the cart through the wall near the Platform 9 ¾ shop as we had visited the Harry Potter areas of Universal Studios Orlando the year prior. Thursday, our first day exploring the heart of London, we set off on the Jubilee tube line to the Westminster stop. We were looking forward to viewing Big Ben first thing, only to see and learn it’s newly under scaffolding for a few years to come for restoration. The coincidence made us laugh. We walked to Buckingham Palace to see the Changing of the Guards that, according to the guidebooks, happens every day beginning at 10:45 am and lasts 45 minutes. That day though, a sign announced there was no changing of the guard ceremony, and palace officials said it was canceled because the Queen was having a garden party. Another laugh to be had! So on we walked through the beautiful Hyde Park rose garden and happened upon the Weeping Beech tree – it’s like a treehouse tent. We had never seen a tree like it, and my kids loved climbing around inside. We continued our walk west along The Serpentine lake in the middle of the park, with more families of ducks and geese than we’d seen in one place, much to our delight. We made a stop at the Princess Diana Memorial Fountain, a few of us choosing to dip and cool our feet. Then in the adjacent Kensington Gardens, we happened upon a tree full of what we think were parakeets and people hand feeding them apples and seeds. A nice woman gave my youngest a bit of an apple to hold up and entice a bird. One hesitated then jumped on my daughter’s hand, nibbled on the apple, then flew off looking like he was working very hard to hold that apple piece in his mouth! My 10-year-old son was miffed he didn’t get a chance to hold the apple core to feed the birds, said he was bored with walking and decided to run the rest of the way to Kensington Palace. Admiring Kensington Palace we thought how much fun it must be to live in the same giant house with all your cousins. We hoped to spy any of the Royals but didn’t. We opted not to tour Buckingham Palace or Kensington as my teen daughters really wanted to tour Versailles in Paris on the next leg of our European adventure. After all that hiking, we caught our first red double-decker bus – the Number 49 on Kensington High Street (headed east). Riding the front row upper level seated us over the driver below and made for a fun and exciting ride down the tight London streets. We weren’t sure how long we’d ride, we tried to follow a map I printed and hopped off when we felt we were going more south than we wanted to meander our way toward the Tower of London Fortress. Needing directions to the Tower from where we were, we picked up free wifi standing in front of a restaurant, pulled up and screenshot walking directions to the South Kensington tube which would take us to Tower Hill, the tube stop of the fortress. Above the South Kensington Station, street-level, there’s a great market of eateries. Leon’s gets two thumbs up from my teen daughter and me for healthy, tasty eats. The rest of the family recommends Honest Burgers a few doors down where every meal comes with a free cookie! Fueled up, we took the tube to the Tower of London. Mid-afternoon there was no line to buy tickets or to enter and we walked right in to see all the Tower has to offer. The fortress wasn’t on my list of top destinations but the rest of the family was into it so I kept an open mind. As I tell my kids, “if you can’t get out of it, get into it.” Self-guided, we ventured through the fortress reading the placards telling of its history and lore over a couple hours. I was moved by the short video of Queen Elizabeth’s coronation playing in the midst of all the ‘Crown Jewels’ protected at the Tower, which were a sight to see for sure! Everyone really enjoyed the visit. I’d recommend Tower as a good value to learn and experience London’s past. From the fortress, you can see a beautiful, ornate bridge crossing over the Thames River that we thought certainly must be the London Bridge of our family favorite nursery rhyme. I talked the family into walking across this incredible bridge and finding a tube station on the South Bank home. Again we didn’t know the way but no matter, we went ‘old school’ and after crossing the bridge asked someone for directions to the nearest tube station. A quick walk and ride on the Underground and we were home. Later that evening reading our Lonely Planet London book, we learned the bridge we walked is really Tower Bridge not London Bridge, a common mistake they wrote and added London Bridge on our list of fun for another day. For Friday fun we decided to visit Camden Market (suggested by our teens for souvenir shopping and lunch), Trafalgar Square, and take a longer double-decker city bus tour of the north bank. We set off on the Overground train instead of the Underground from Stratford to the Camden area. We screenshot directions for the walk from the nearest station to Camden Market and had an easy walk over. There were stall shops galore with everything from touristy postcards and keychains to vintage cameras, Japanese puzzle boxes, jewelry, Doc Martens and more. We split up and explored for a couple hours then met back for lunch in the mini food truck eatery area where each of us picked something special. My husband and I were excited to spot Burger & Beyond that I had read about in a burger review in the Time Out London magazine from our Airbnb. We split a burger, it was the melt in your mouth tasty, not surprising considering they have their own farm and use beef hung, aged, and butchered in-house – that burger was seriously beyond expectations! From Camden, we took the tube south to the Charing Cross Underground Station by Trafalgar Square. Exiting the station at the intersection of Duncannon St and Strand we were thrilled to see four red phone booths in a row. It was on our list of fun to get a picture with one because of the Harry Potter ties and iconic-ness of it, but four in a row?!?! Of course, we had to take this picture! Trafalgar Square is just a block from the station and much larger than we had imagined. There were chalk artists and musicians sharing their talent, and my younger kids got a kick out of climbing up near the lions in the center. Next, we walked back along the Strand to the triangular corner of the four phone booths to catch the #15 double-decker bus, recommended by LondonForFree.net as a great line to take in the sights as it winds around the north bank and ends at the Tower of London. Bonus for us, we got a retro older bus and had a ball riding along on the top level. Saturday arrived, our last full day in London. We grabbed a quick breakfast of fresh croissants and crumpets from the Tesco Express on the corner, then set off once again on the Jubilee line towards Buckingham Palace to see the Changing of the Guard. We were blessed with sunny skies and took the time to get a closer look at the gorgeous architecture of the Palace of Westminster, meeting place of the two Houses of Parliament of the UK, and Westminster Abbey. At Buckingham Palace we learned, much to our dismay, there would be no guard ceremony once again! That morning there was instead a rehearsal of the Queen’s birthday parade which was to be the following weekend. The rehearsal involved street closings, guards stationed all along (so we did get to see them march and interact with each other in rotating stations), a horse-mounted marching band, multiple horse-drawn royal carriages (empty though). We got a real glimpse of the grandeur of the English royal celebrations and enjoyed the show. After lunch, lounging, and freshening up back at our apartment we made our way to the South Bank for an evening of dinner and theater. In planning for our trip, my teen daughter suggested a play at Shakespeare’s Globe Theater and we thought that would be a great final evening in London. We pulled up the calendar of performances and purchased tickets online beforehand for the Saturday performance of ‘As You Like It’. I tried to get the family to go for the five pound ‘Yard’ standing tickets but was outvoted and we got three youth tickets in an upper Gallery section next to three adult tickets in a cheaper upper Gallery section. For some fun before the show, we exited the tube at the London Bridge station and walked to see the actual London Bridge. It’s been rebuilt over the years and is anticlimactic to see compared to the spectacular Tower Bridge. But we were glad to see nonetheless and tick off our list. From the bridge we walked back south on Borough High Street and just past the intersection with Tooley Street we found a stairway down toward Southwark Cathedral and from there followed a lively winding walking path along the south bank of the Thames River all the way to the Swan Restaurant next to The Globe. We dined on delicious scotch eggs, shepherd’s pie, and other English treats. Then headed into the show. The theater was built in replica of the original, so the center was open to the evening sky. The whole family enjoyed the hilarity of the story and the great acting. We highly recommend taking in a performance! Afterward, we walked a short bit west to the Millenium pedestrian bridge to walk across the Thames River and marvel at the London skyline at night – it was brilliant! Across the river, we found a tube station and headed home. The next morning we ran a few quick loads of laundry to restock everyone’s backpack wardrobe and took off on our EasyJet flight for the next destination of our European adventure – Paris. To be continued……until next time, happy travels!!!! Tina Park has been creating exceptional travel experiences for her family and friends for several years. She lives in Elmhurst, IL - a quick train ride from downtown Chicago - with her husband and four kids ages 8 to 18 where she serves on her City Council, tutors students in mathematics, and coaches her kids' youth basketball teams. She enjoys yoga, walks, wine and book discussions with friends. Upon the return from each trip with her family, she starts planning and researching the next which is usually many months out. Her love of anticipating & learning nearly equals the adventure itself.